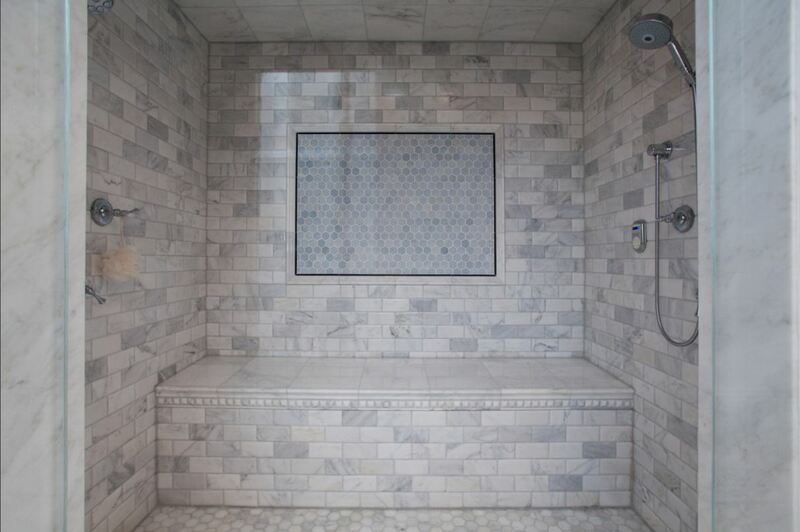 future resale value, while others are searching for their dream tile. 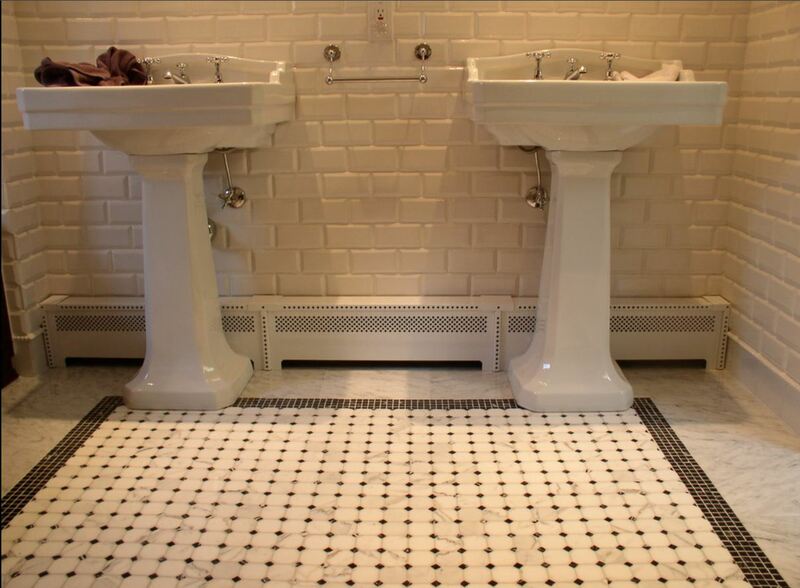 For the customer searching for a classical and timeless tile, the subway tile is always on the top of list. 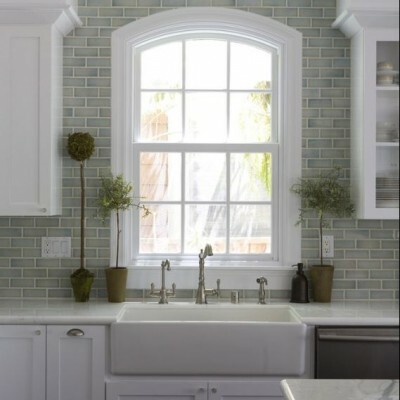 The subway tile has been a staple in the tile industry for over sixty years. 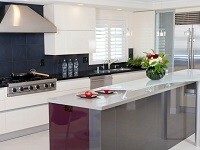 It is still as popular as before, if not even more so. 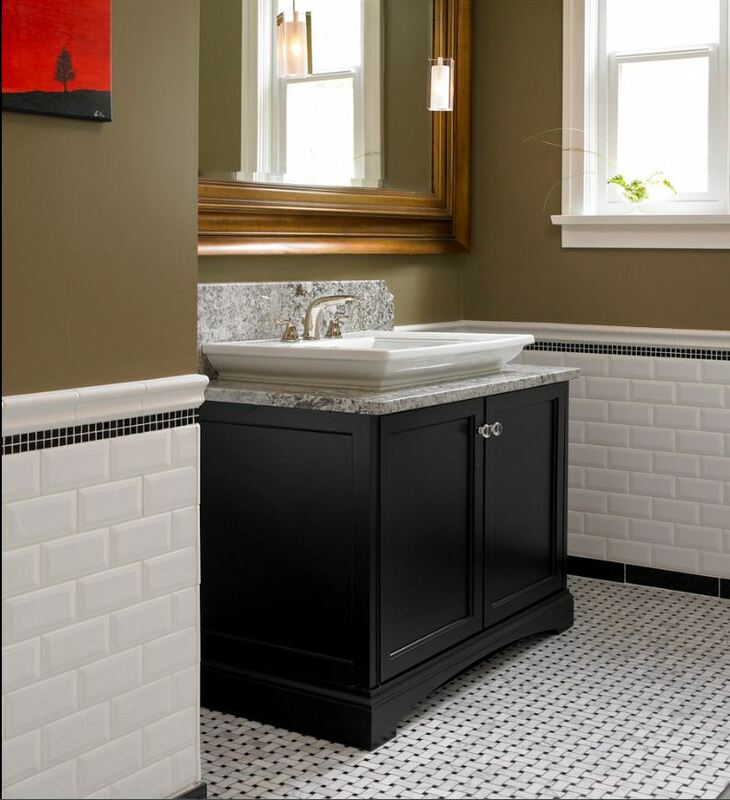 Beveled tile, a recent addition to the subway tile craze has beveled edges that create a subtle, yet appealing look for any applications. 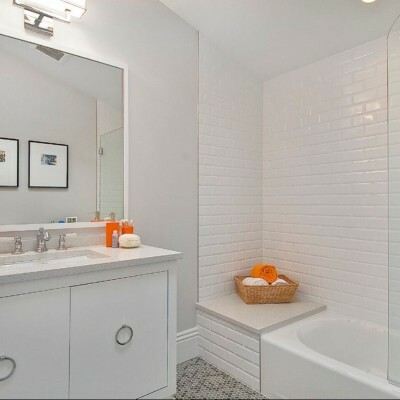 While the traditional subway tile features straight edges, the slight beveling that is found on beveled tiles create a completely different persona. 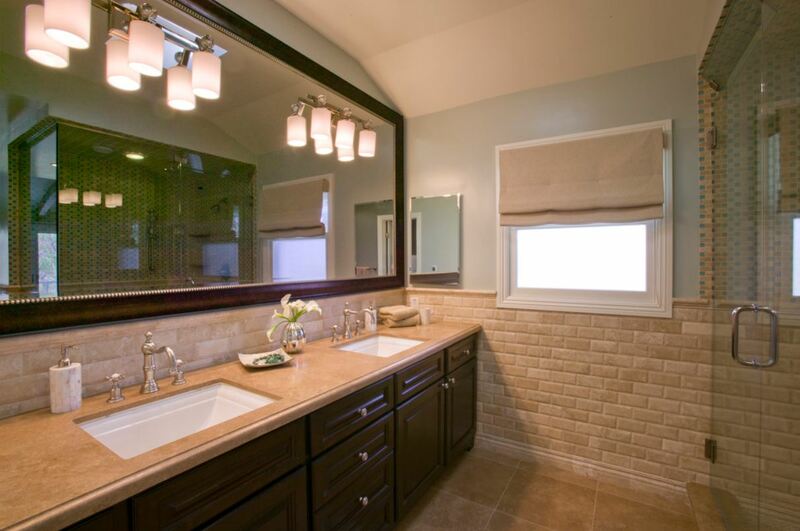 Beveled subway tile are allowing our customers to keep the traditional and classical appeal of the subway tile. 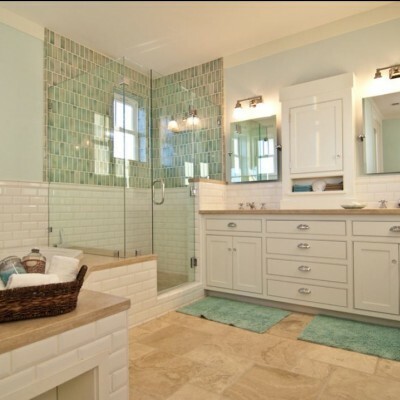 Meanwhile, it is giving their bathrooms or kitchen backsplash a different aesthetic appeal. 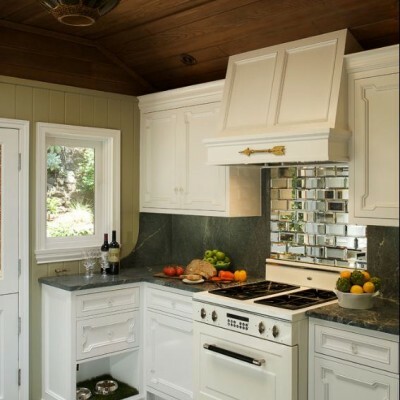 Beveled subway was introduced not too long ago but has already found its way into thousands of homes throughout the country. 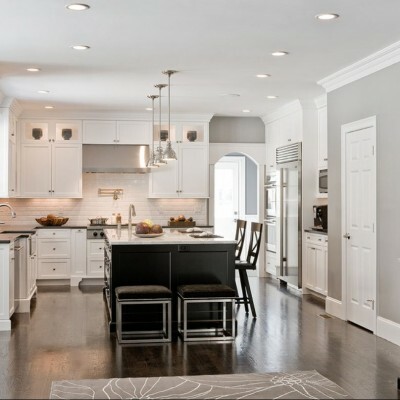 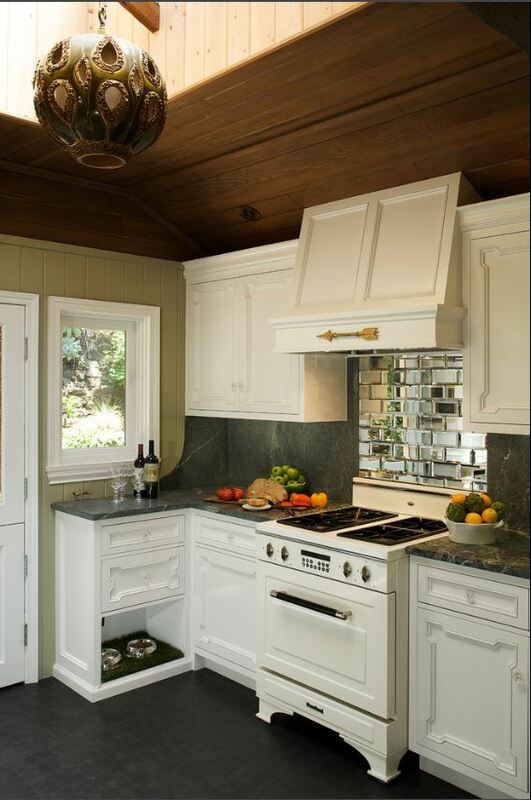 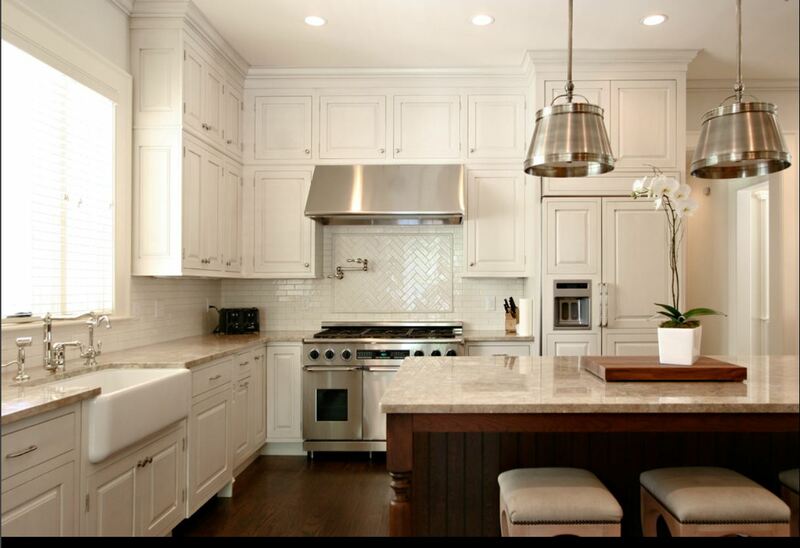 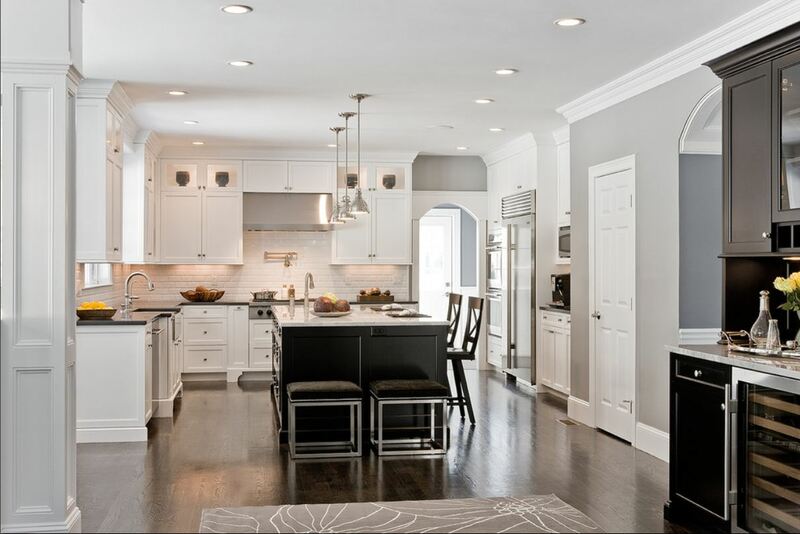 A beveled subway tile backsplash evokes the classical look. 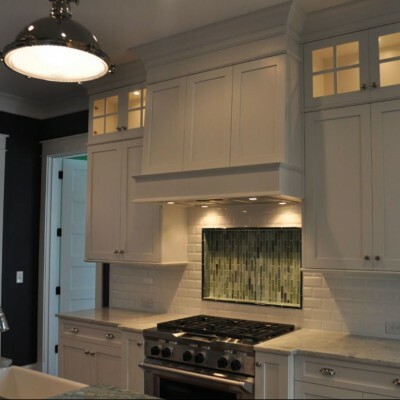 Many designers and homeowners are searching for it in their traditional kitchens and creating a different look than traditional straight-cut subway tile. The recent surge of beveled tiles has created a full-line of various shapes and sizes with beveled edges. 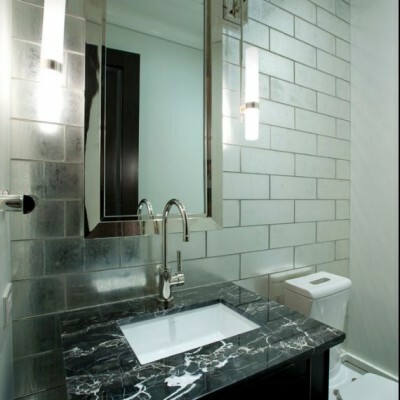 One of the newest additions in our showrooms is the Beveled mirror tile that has been recently produced by Artistic Tile. 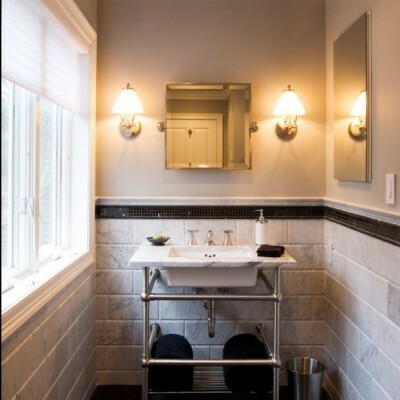 The beveled mirror tiles from Artistic Tile features a hand-silvered antique tile in the traditional 3”x6” size. 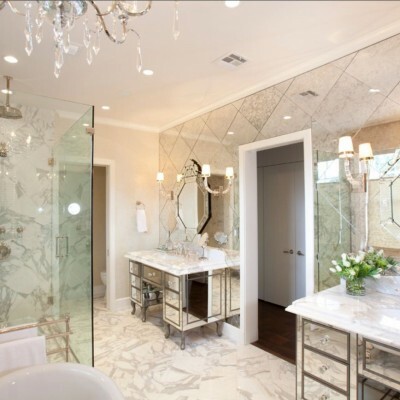 The beveled mirror tiles are hand-made using the traditional techniques of classic silvering that enriches distressed movement of the glass. 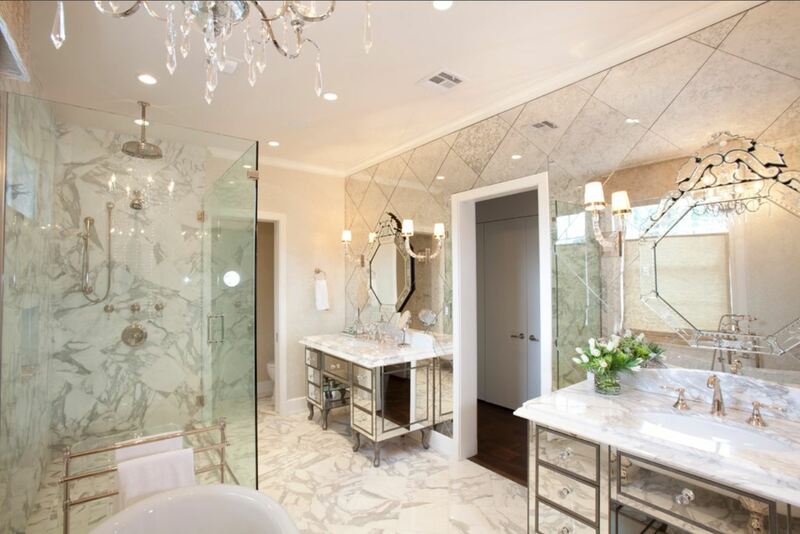 You’ll be able to recreate the elegance found in a Venetian Palazzo or an heirloom interior with beveled mirror tiles. 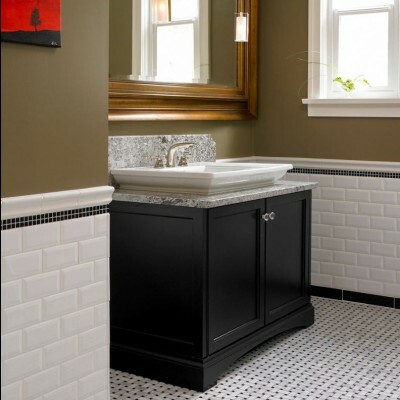 Beveled subway tile are meant to keep the classical and traditional appeal of your ordinary subway tile. 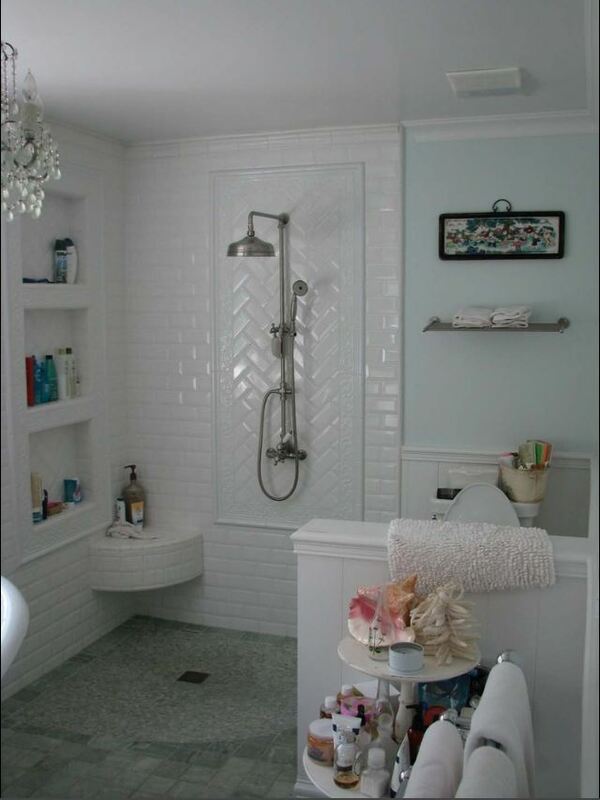 And it can add some extra pizazz as well. 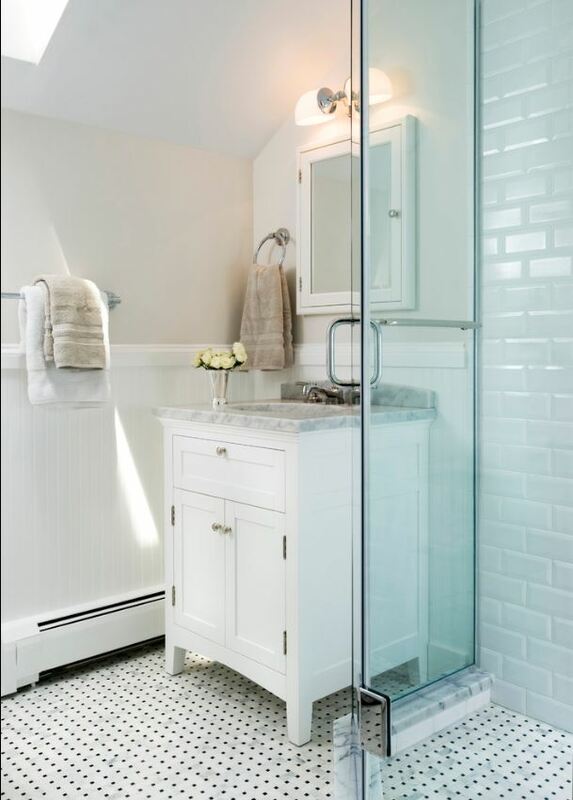 Beveled Subway tile in white is the most popular color when it comes to your traditional subway tile. 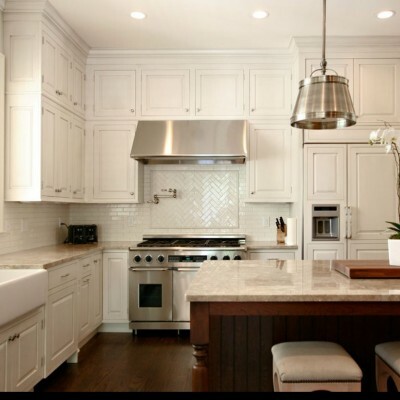 Many of our customers enjoy the clean look of a white subway for it is a color-way. 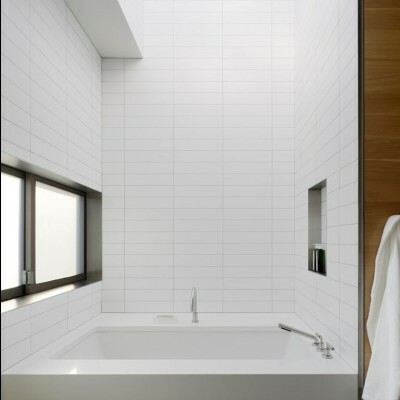 And it will never go old and will always be appealing. 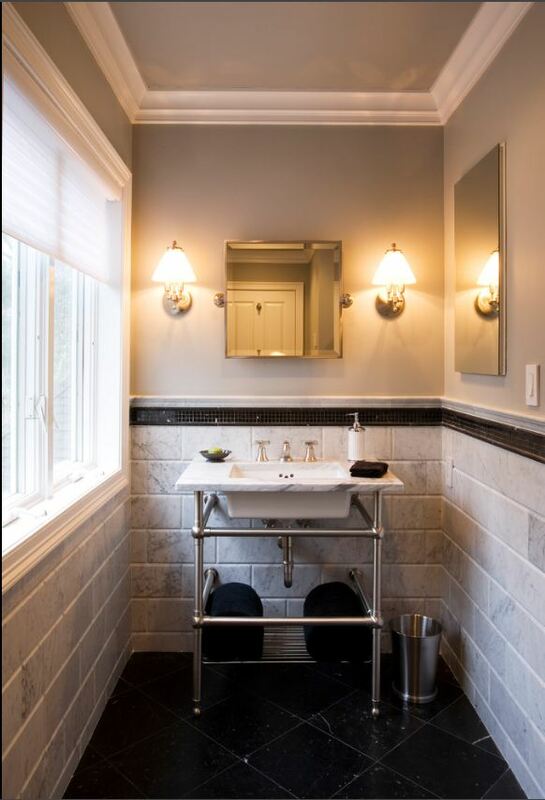 It is very important when installing subway tile to have all of the necessary finishing pieces that are required to achieve your desired look. 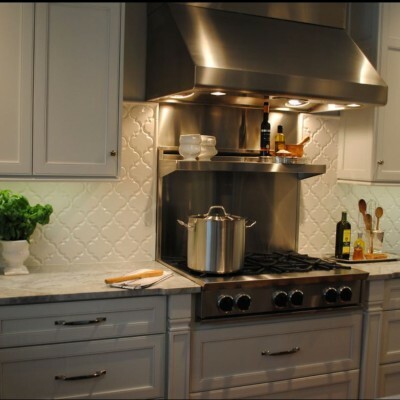 Subway tile backsplash generally don’t end into wall, meaning they require a finished edge at the end of the counter-top. 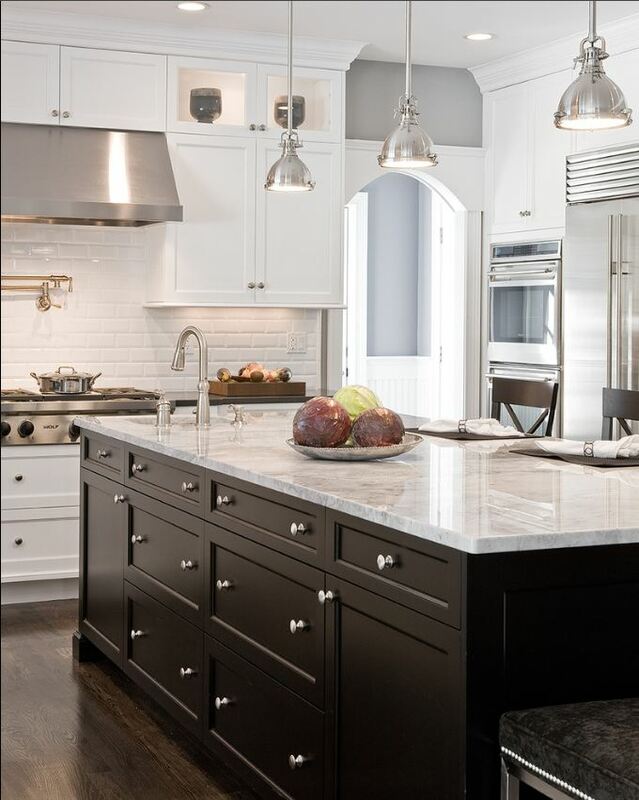 This finished edge can either be a pencil molding, chair-rail molding, or sometimes even a quarter-round. 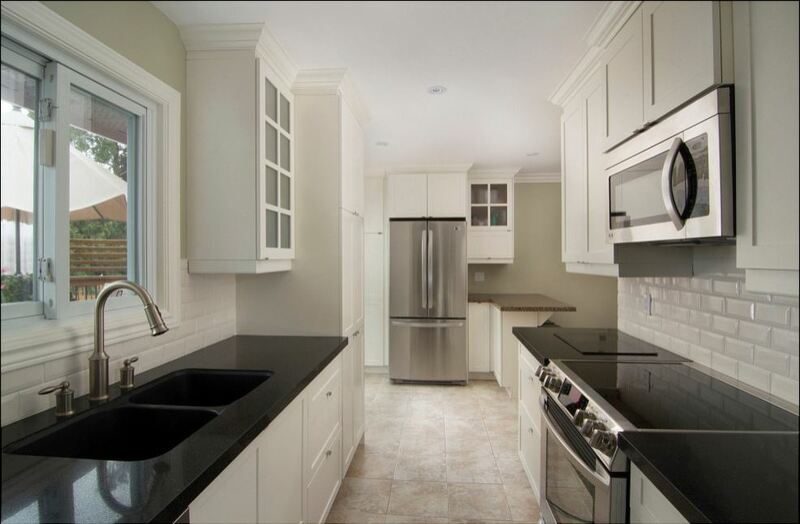 It is very important to plan out these finishing pieces prior to installing your subway tile backsplash. 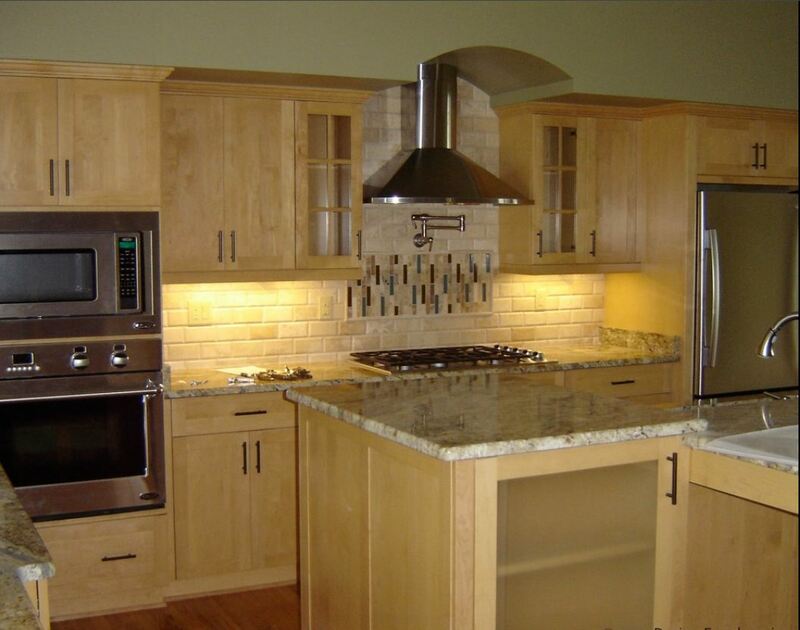 Because you do not want to delay the final installation and to achieve the look so many people are seeking. 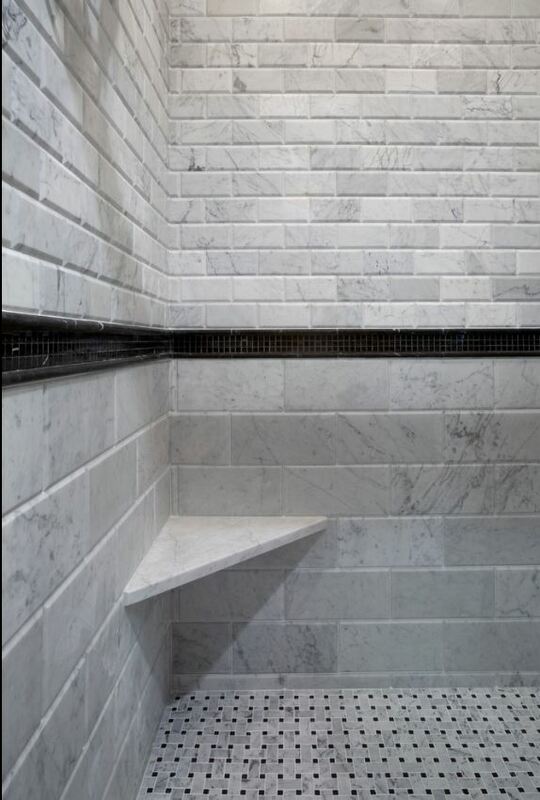 How to install subway tile? 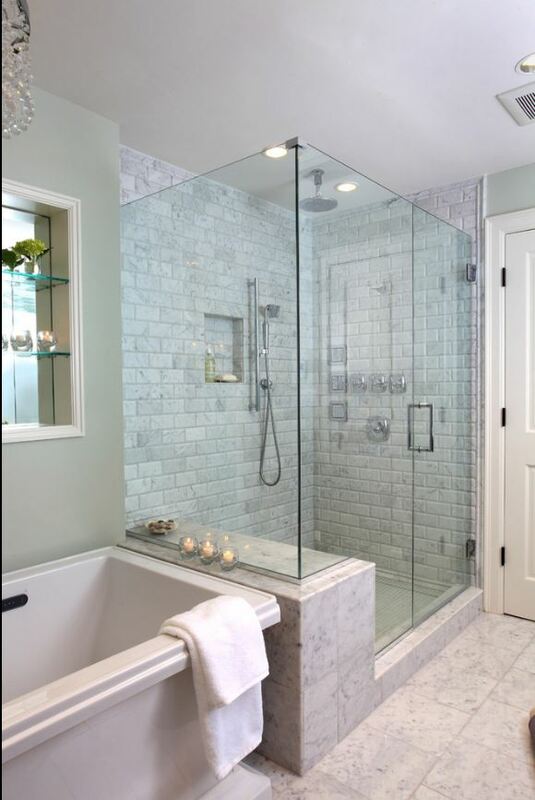 Every day we get a phone call from a customer asking us “How to install subway tile”. 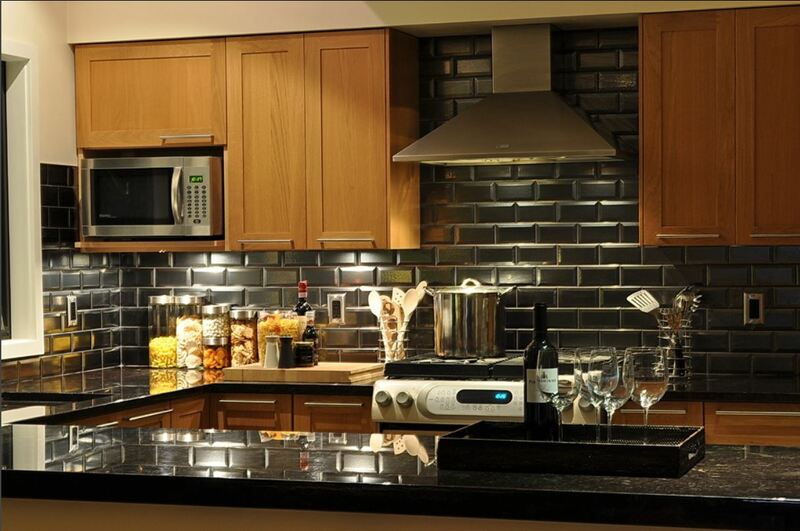 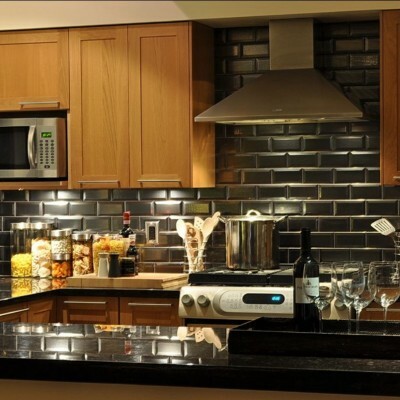 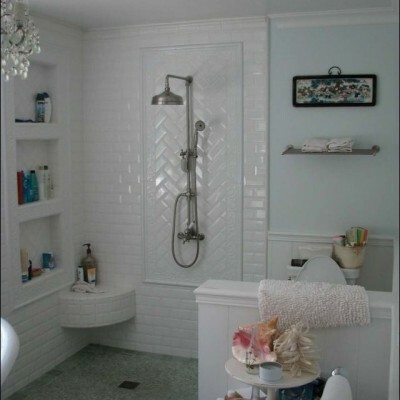 We inform them that there are numerous layouts that can be done when installing subway tiles. 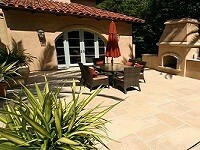 The traditional installation method is installing the tiles on a 50% offset, or also called staggered installation. 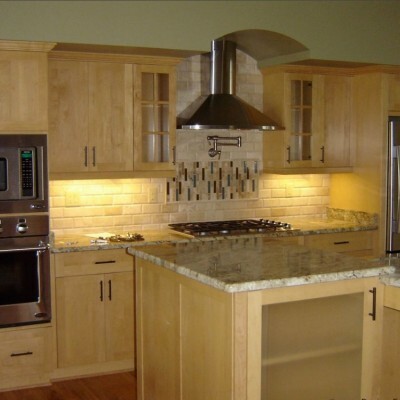 Nowadays, everyone is seeking a twist on the traditional methods and looking for something to differentiate their installation from others. 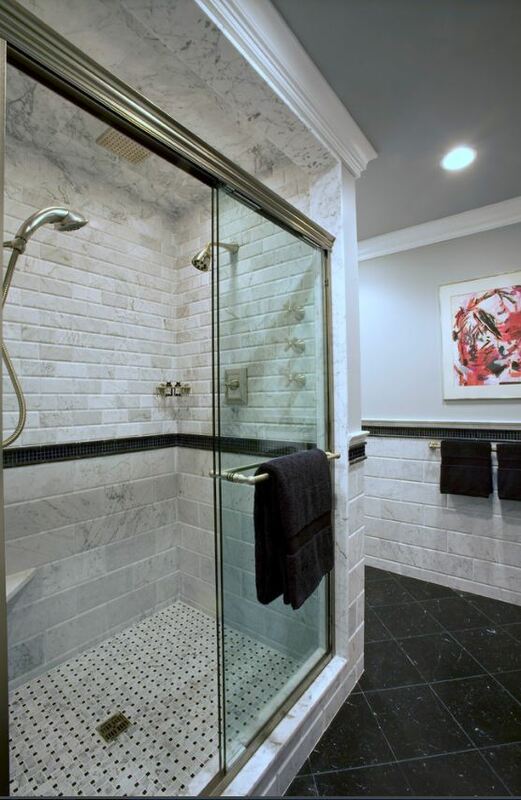 Installing subway tile in a stacked pattern is a great way to achieve a more contemporary and overall different look than the customary 50% offset. 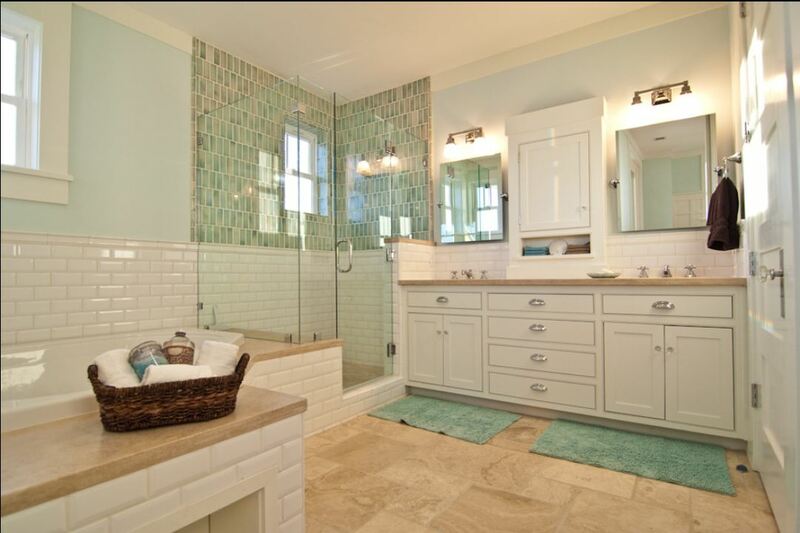 One of the biggest requests from our customers is about subway tile bathroom pictures. 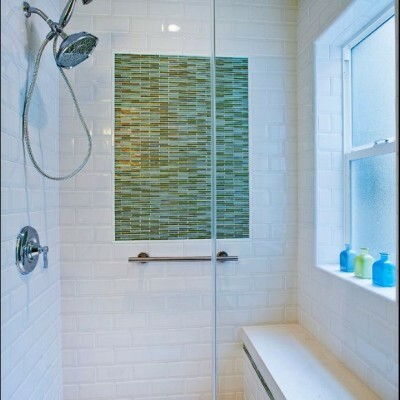 They want to know different installation methods and also the different available subway tiles on the market. 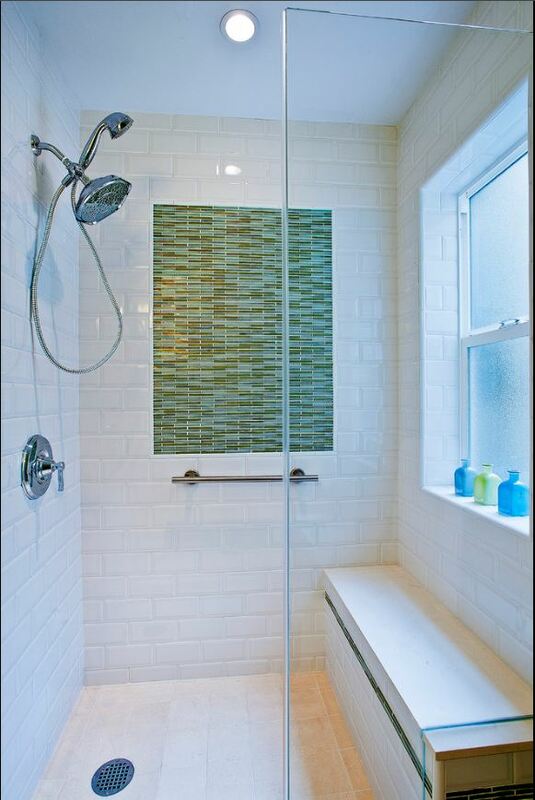 Subway Tiles are now available in glossy finishes, matte finishes and even crackled subway tile. 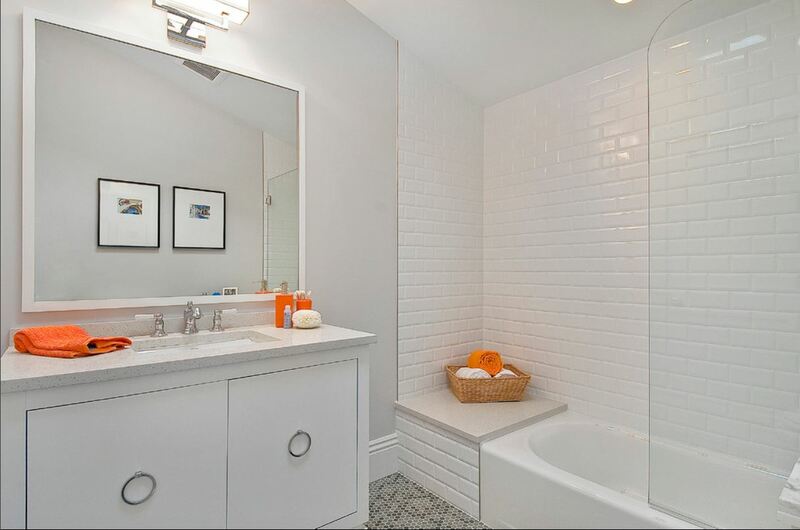 As you can see, the traditional white 3”x6” subway tile has evolved greatly. 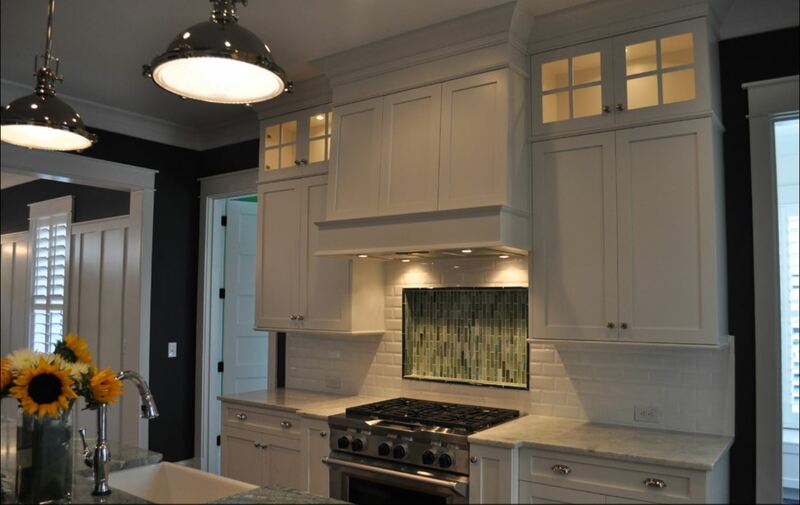 Beveled subway tiles have entered into the market place and are here to stay. 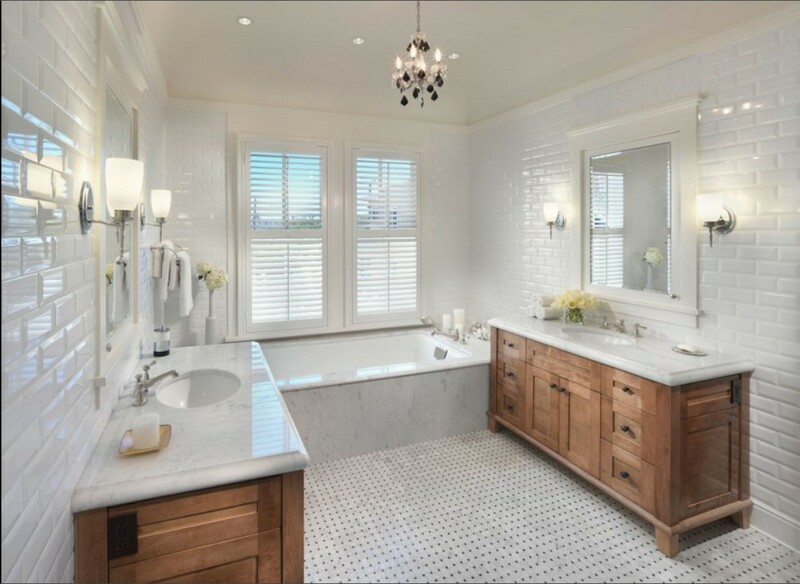 The beautiful array of beveled subway tile allows our customers to choose from a variety of beveled tiles in numerous sizes, finishes, and colors. 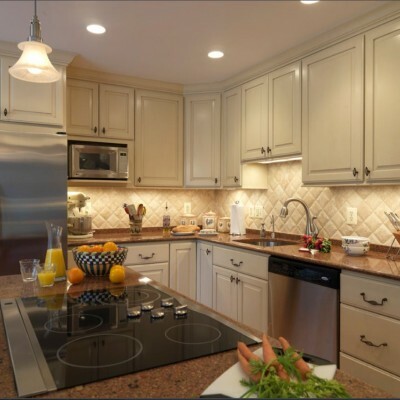 Subway tile backsplash have paved the way for our clients to choose stunning Cambria Slabs or Granite slabs without having to worry about an overly busy backsplash to offset the beautiful mix of colors and tones found in those slabs. 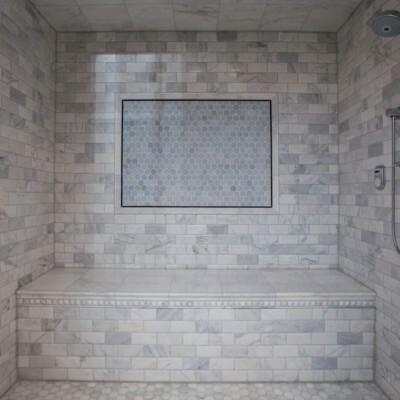 With the new-look beveled tile and its trend as a kitchen backsplash or in a bathroom, in the shower or on the wainscot, we have begun to carry a wide array of beveled tiles for our customers. 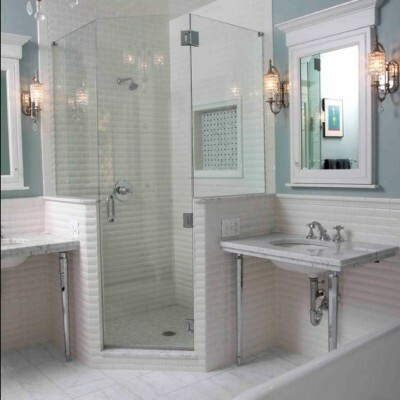 We now offer numerous crackled finished beveled tiles, as well as larger sized tiles such as a 4”x8” subway tile. 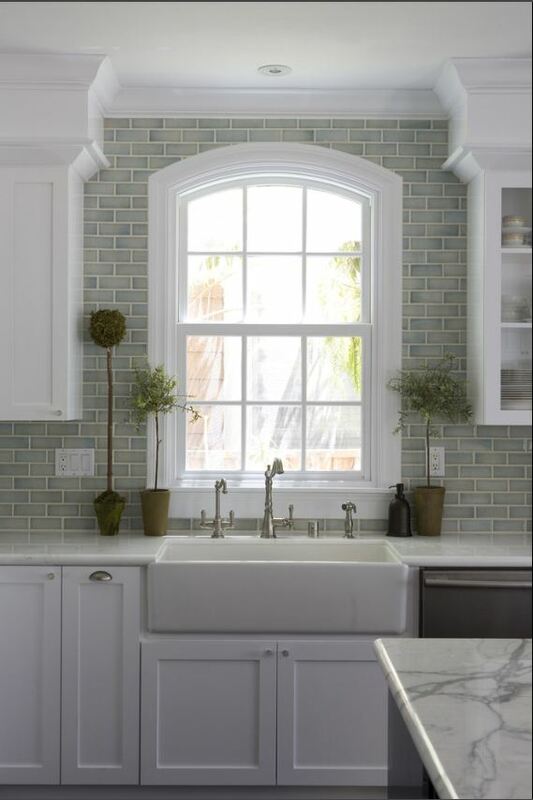 The larger subway tile offers a slightly larger field tile meant for customers who have larger bathrooms or kitchen backsplashes, or for those who simply want a different sized tile than is traditionally used and found elsewhere. 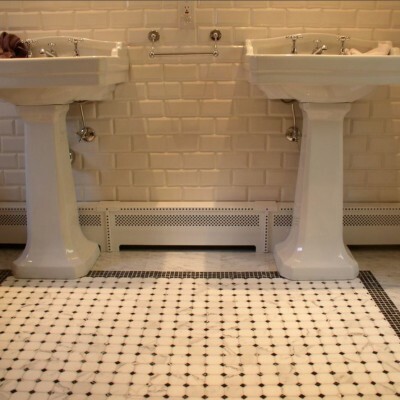 The ability to offer our customers different products than the norm, has allowed our showroom to offer classic and timeless tiles such as beveled subway tile and even beveled Arabesque tiles. 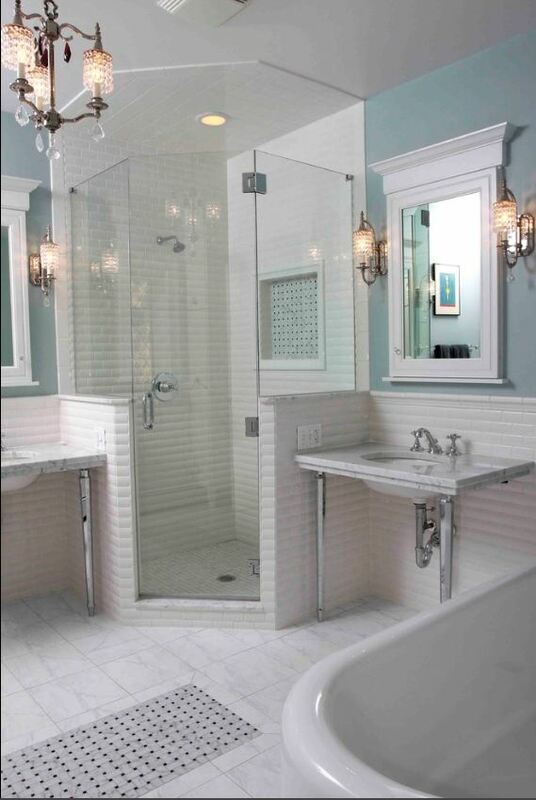 The beveled Arabesque Tiles are a twist on the popular arabesque shape with a slight difference in having a large bevel around the tile. 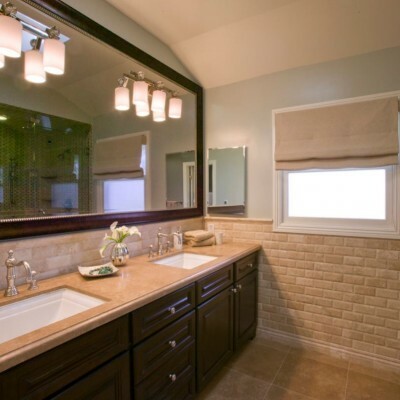 The wide range of beveled subway tiles has gone past the beveled ceramic tile and even into beveled mirror tiles. 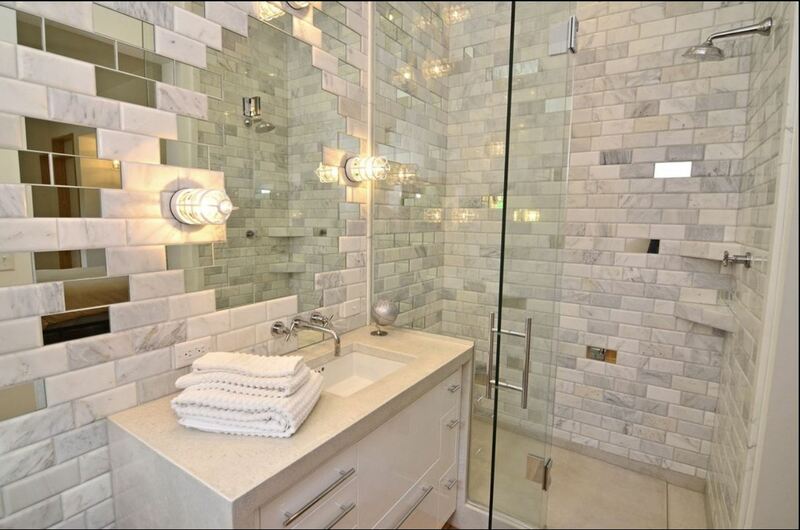 These beveled mirror tiles from Artistic Tile are sure to be a big hit as subway tile ideas. 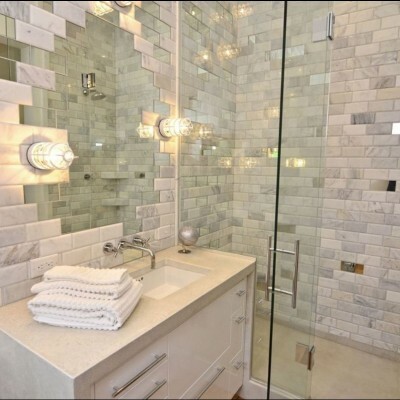 I can totally picture the Beveled Mirror tiles as a bar backsplash or even a feature wall in a commercial application such as a nightclub or bar lounge. 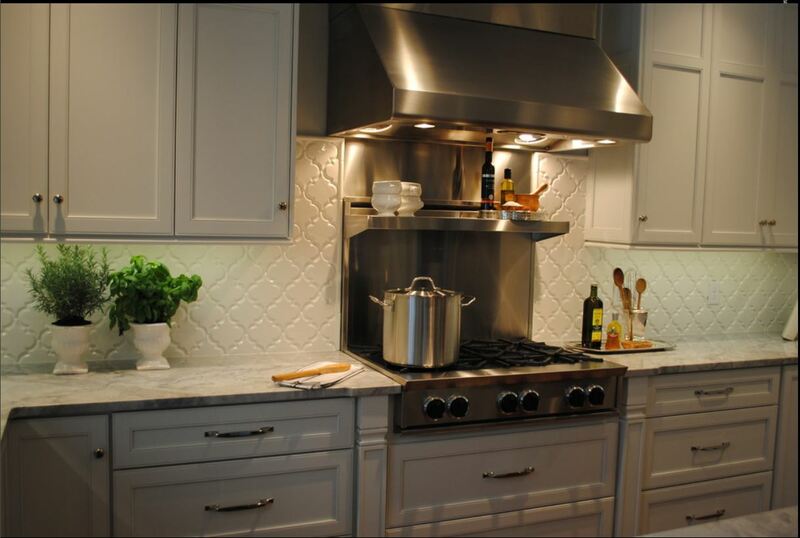 Subway tile for Backsplash has always been a traditional and classic way to decorate ones kitchen with tile. 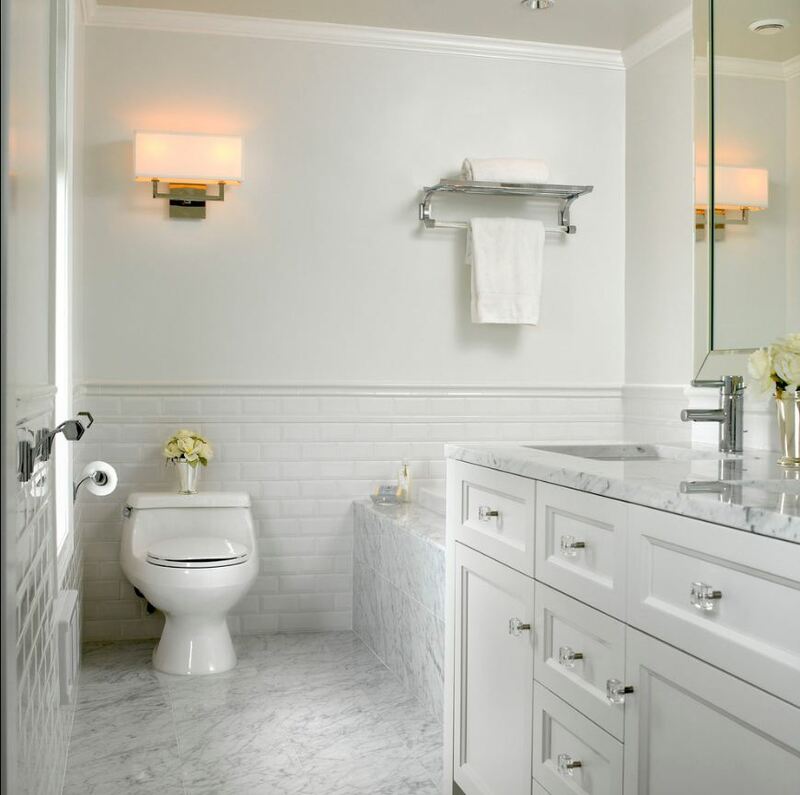 The timeless and classical appeal of a traditional white subway tile allows for an installation that is sure to appeal for many generations to come. 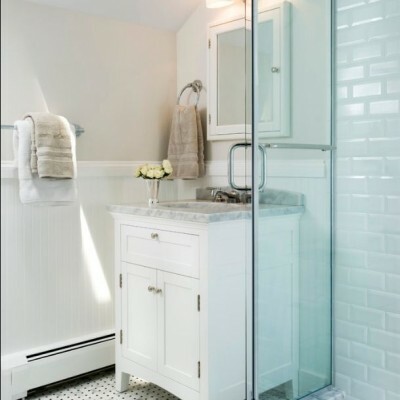 Many of our customers are searching for the perfect tile for their applications that will appeal to the next owner and feel that going with a subway tile is the perfect fit for such a case. 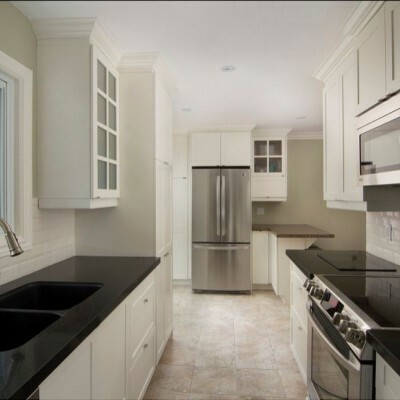 Beveled subway tile has allowed our customers to keep the timeless installation while adding a subtle twist on the traditional subway tile. 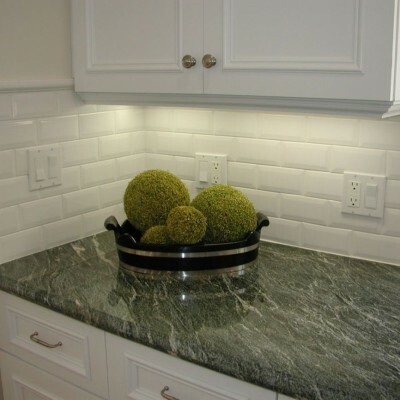 The variety of beveled subway tiles on the market now has allowed for a wide range of colors, sizes, and finishes to be specified for not only kitchen backsplash but for bathroom tile and shower applications as well. 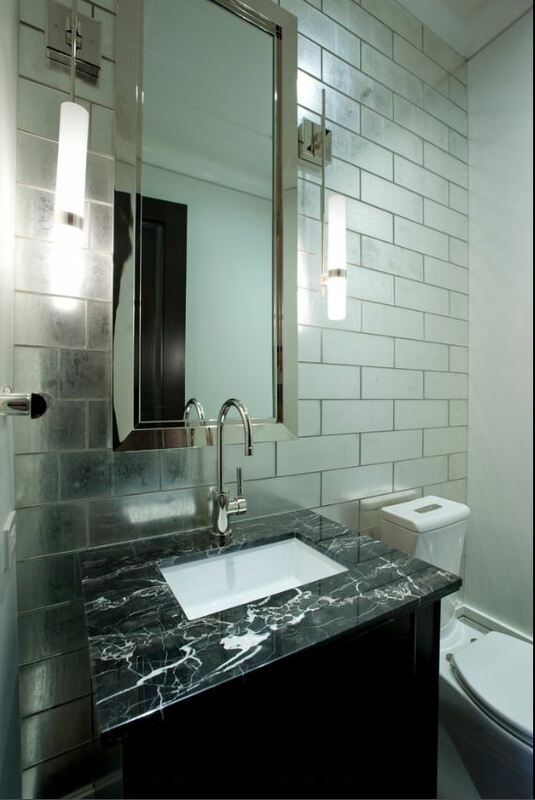 Some of our vendors are creating their own twist on the subway tile by coming out with crackled beveled tiles and even beveled mirror tiles. 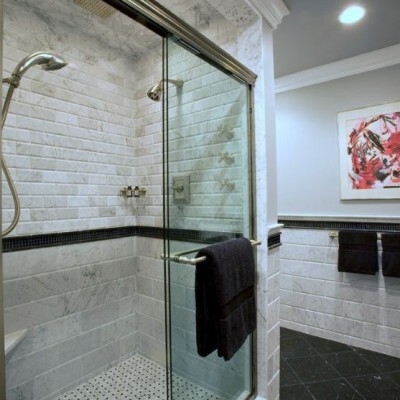 The ability to create new finishes and even materials while maintaining the beveled look has expanded the overall reach and usage of beveled tiles. 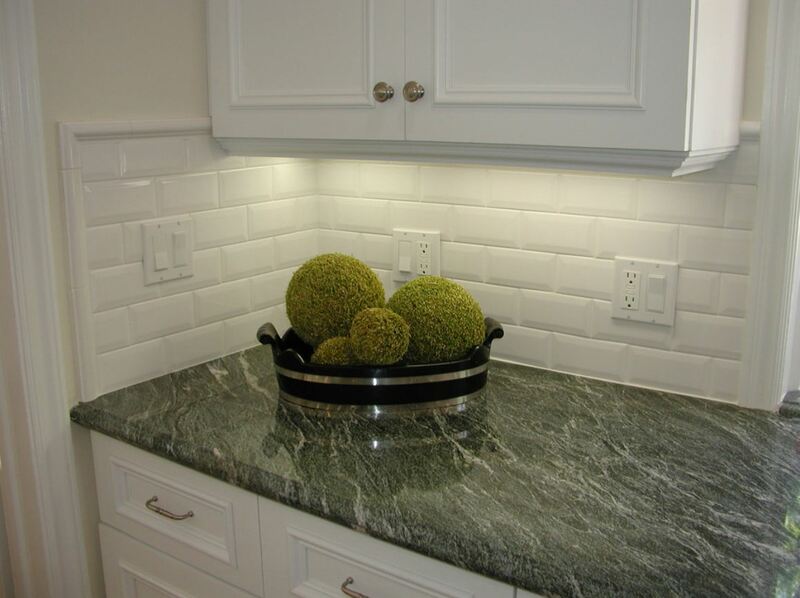 AKDO for instance, has a full line of natural stone beveled subway tile that allows for an even greater appeal and ability to include natural stones in one’s home while still maintaining the timeless beveled look. 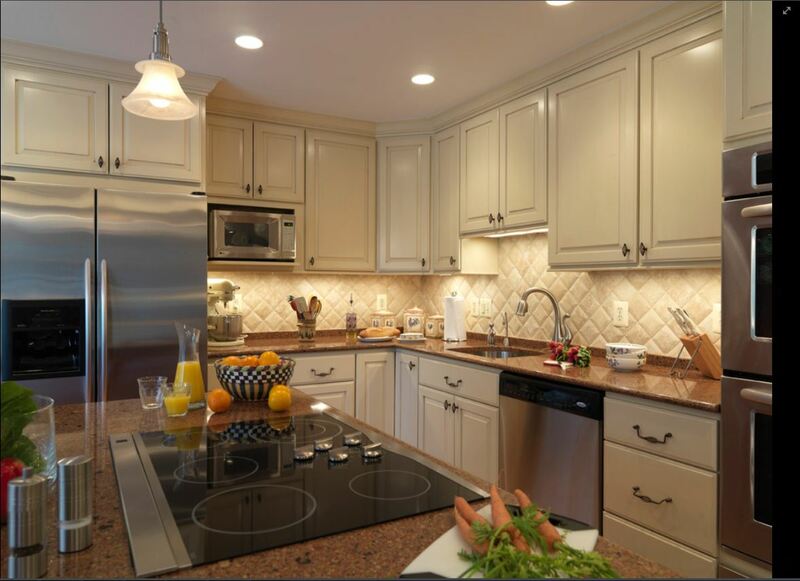 The beveled subway tile and the traditional subway tile are sure hits in many of our customers’ homes. 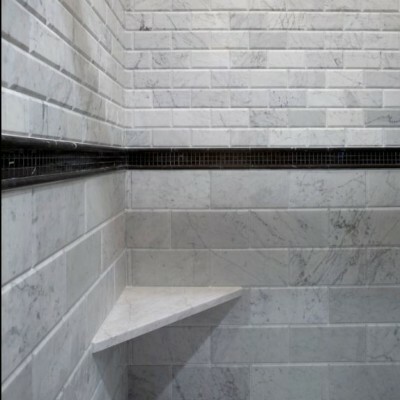 Please make sure to stop by either of our two Award Winning Showrooms to have us show you the perfect beveled tile for your next application.